Congrats to Amanda Misner on the purchase of her new Mazda CX-5 GT! You'll see her zoom-zoomin' around, and hear her coming with the country bass beats from her BOSE stereo! 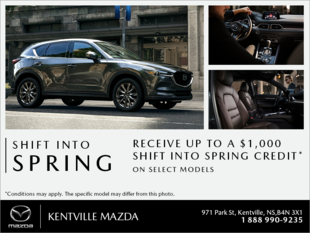 Thanks from your Sales Consultant, Jason Rushton and all of us at Kentville Mazda!